Fraud against charities has increased by £400m over the past 12 months and is now worth about £2.3bn, the latest estimates show. 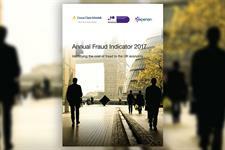 The Annual Fraud Indicator 2017, which has been published today by the UK Fraud Costs Measurement Committee based on research by the accountancy firm Crowe Clark Whitehill, the credit rating agency Experian and the University of Portsmouth’s Centre for Counter Fraud Studies, says that a large increase in procurement fraud to almost £1.2bn was a major reason for this rise. Payroll fraud also increased by £4m to £990m, the report says. In contrast, the report says, grant fraud fell by £35m to £161m. Total annual fraud losses in the UK were assessed as being worth about the same as the previous year, about £190bn, says today’s report, with three-quarters of this affecting the private sector. The report says that fraud affecting charities accounted for 1.2 per cent of the total fraud in the UK. The publication highlights how new technology has been exploited to perpetrate frauds across all sectors, with online banking fraud having grown by 226 per cent and telephone banking fraud by 178 per cent in the past year. Individual people were defrauded of £6.8bn last year, the report says, which is more than twice the amount of fraud in the charity sector, and public sector fraud losses were £40.4bn. The report comes after a number of high-profile frauds in the charity sector, including a £500,000 “vishing and spoofing” fraud against Highland Hospice in Scotland in July. In another case, Bury Hospice was the victim of a “sophisticated” fraud in July involving an online virus check that resulted in the charity losing £235,000. Figures released last month by the National Fraud Intelligence Bureau at the City of London Police showed there were 823 employee fraud cases and 298 cases of donation fraud in the past six months, with fraud being a significantly under-reported crime.